Wicked, already a three-time Tony Award winner, continues to enjoy unbridled box office bliss as well, said Felina Martinez at BuyAnySeat.com. The play’s productions are presently performing in New York, Charlotte, Tucson and London – with upcoming runs in Rochester, Naples and Dallas. Grammy and triple Tony Award-winning Wicked continues to cast a spell on theatre-goers worldwide. See dates and shop for tickets at BuyAnySeat.com. 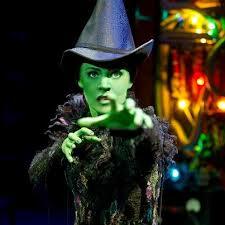 Wicked has been on a wild and wanton run, casting a spell on audiences worldwide for over a decade. Officially known as Wicked: The Untold Story of the Witches of Oz, the musical premiered at the Gershwin Theatre on Broadway in October of 2003, where it still plays to packed houses. Since then, it has also won three Tony Awards and a Grammy. And, it has spawned several different productions around the world, all wildly successful as well. The musical’s productions are currently performing at the Gershwin Theatre in New York, New York; the Ovens Auditorium in Charlotte, North Carolina; the Tucson Music Hall in Tucson, Arizona; and the Apollo Victoria Theatre in London, England. The Charlotte cast travels to Rochester, New York to open at the Rochester Auditorium Theatre on April 3, 2013. The Tucson production moves on to the Music Hall at Fair Park in Dallas, Texas on April 10, 2013. “Search traffic for Wicked has been running at excessively high volumes for months now, spiking even higher as the schedules for the touring productions shift,” said Felina Martinez at online ticket marketplace BuyAnySeat.com. “Although many of the performances begin to sell out closer to show time, we still have tickets. In fact, we’re proud to be able to offer theatre-goers the most complete and continuously updated selection of Wicked tickets available, with a worry-free guarantee to protect their purchase,” said Martinez. “To access the total inventory of cheap Wicked tickets we now have available, customers can go to BuyAnySeat.com and search for Wicked – then select their tickets,” said Martinez. Wicked has enjoyed consistent box office success since its debut. It currently holds the weekly-gross-takings records in Los Angeles, Chicago, St. Louis, and London. In the week ending January 2, 2011, the London, Broadway, and both North American touring productions all simultaneously broke their respective records for the highest weekly gross. The original Broadway production celebrated its ninth anniversary on October 30, 2012, after playing 3,822 performances, making it the 12th longest-running Broadway show in history. Since its opening in 2003, it has broken the house record at the Gershwin Theatre twenty times. With music and lyrics by Stephen Schwartz and a book by Winnie Holzman, the original Broadway production was directed by Joe Mantello and choreographed by Wayne Cilento. It is based on the 1995 Gregory Maguire’s book called Wicked: the Life and Times of the Wicked Witch of the West – a parallel novel of the 1939 film The Wizard of Oz and L. Frank Baum’s classic story The Wonderful Wizard of Oz. It tells the story of two unlikely friends, Elphaba (the Wicked Witch of the West) and Glinda (the Good Witch of the North). The two struggle through opposing personalities and viewpoints, rivalry over the same love-interest, reactions to the Wizard’s corrupt government, and finally, Elphaba's fall from grace. To shop for cheap Wicked tickets, visit BuyAnySeat.com. About BuyAnySeat.com: An online ticket marketplace, BuyAnySeat.com connects sports, theater and other live entertainment fans to an extensive network of ticket sellers worldwide. The site’s simplified listings and navigational tools enable shoppers to easily locate, compare and purchase inexpensive, discounted or lower-priced tickets to virtually all advertised sports and entertainment events around the globe. The site, which is PCI-compliant and Norton Secured, also provides customers with a complete Worry-Free Guarantee on all ticket purchases. Based in Denver, Colorado, BuyAnySeat.com is a subsidiary of Denver Media Holdings. For more information, please visit http://buyanyseat.com.